“In the 1950s, Lee Strasberg was probably the most controversial figure in the American theatre. To some, he was an almost worshipped figure, and his students tended to be fanatical acolytes. For others, who hated him, he was the guru who transformed actors into introspective navel-gazers, mumblers, and erratic, unreliable creatures. Neither camp was accurate, but he was never an easy man to define or pin-down. But now, more than half a century later, he seems to have won his fight to make actors better trained, more honest, and more secure in their craft. 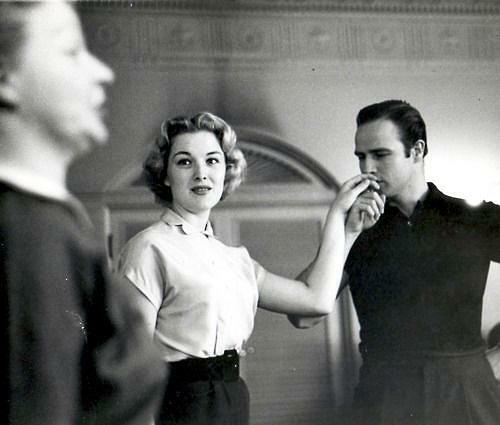 For many, Strasberg became the embodiment of The Actors Studio, just as Marlon Brando became the quintessential Actors Studio Actor. But both impressions are wrong. 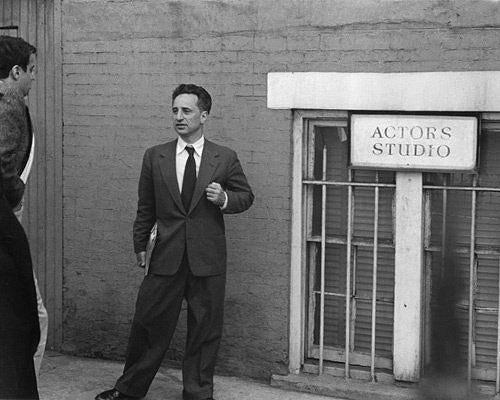 Strasberg was not the founder of the Studio, That honor belongs to Elia Kazan, Robert Lewis and Cheryl Crawford, who founded the Studio in 1947, as a non-profit workshop for professional and aspiring actors to hone their craft, away from the pressures of the commercial theatre. (Kazan called it “a place for actors to get in out of the rain.) Strasberg assumed the leadership only in 1951. Meanwhile, Strasberg was pursuing an acting career. A few human anecdotes survive from that time: we know that he auditioned for the musical revue The Greenwich Village Follies with the song “My Wild Irish Rose,” and in a wildly unexpected bit of casting, he played lecherous Persian peddler Ali Hakim in Lynn Riggs’ Green Grow the Lilacs, which was later adapted into the Rodgers & Hammerstein musical Oklahoma! Strasberg first seriously embarked on what would become his later career when he joined with director Harold Clurman and producer Cheryl Crawford to found the ground-breaking Group Theatre. Photos from the Group’s early years show that the three directors were almost painfully young: but despite his baby-face, Strasberg became the company’s acting teacher and coach, and he shared directing duties with Clurman, while Crawford attended to practical matters, and refereed any fights that broke out—and there were plenty of those. Strasberg directed the production of Men in White that established the company’s reputation, but he hated the work of Clifford Odets, which later became the emblem of their success. 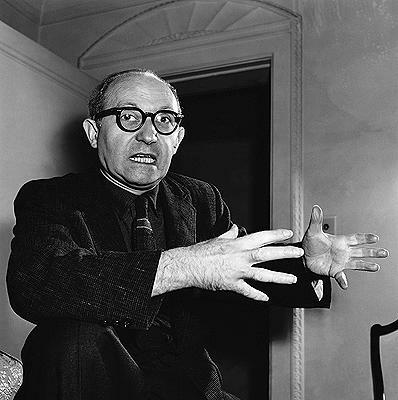 It took a mutiny by the actors to bring about the production of Odets’ Awake and Sing, And finding his authority rejected by the company was a serious blow to Strasberg’s ego. 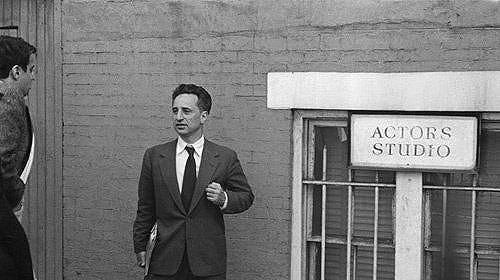 Elia Kazan, an actor with the Group, described Strasberg’s teaching at that time: “He carried with him the aura of a prophet, a magician, a witch doctor, a psychoanalyst, and a feared father of a Jewish family.” This description remained pretty accurate, throughout Strasberg’s life and career. 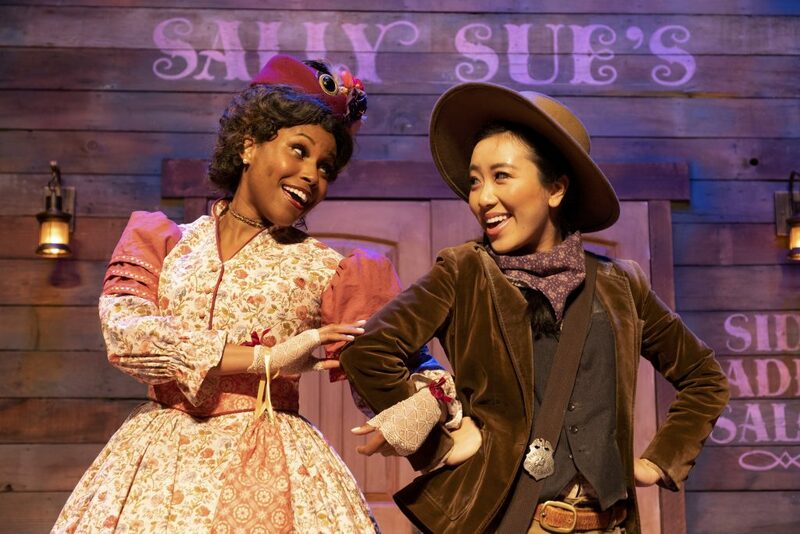 The Group lasted several sometimes glorious years, mounting several justly famous productions and some disastrous ones, before succumbing to the economic pressures of the commercial theatre, and the many internal emotional fault-lines that marked the Group from its inception. When it failed, both founders and members rejoined the commercial rat-race, teaching and mounting numerous productions, till the founding of the Studio gave Strasberg the secure niche where his talent could grow and flower. I was able to observe Strasberg at close range during my years as stage manager of the Playwright’s Unit, and later as a member of the unit, and my position enabled me to attend the acting classes and the Director’s Unit, both helmed by Strasberg. (And as director of the Studio he signed my pay-checks. And I was able to view his. I was making $40 a week. He was paid $260, which struck me as fairly modest considering the importance of his role.) He was, in some respects, easier respect than to like. He could be imperious, arrogant and remote, though he did have his warmer moments. Strasberg was not, of course, the only one to claim the mantle of Stanislavsky. Stella Adler was among the most militant, but there were plenty of others, including Sanford “Sandy” Meisner, Tamara Daykarhanova, and later Michael Howard, who was my teacher. The center-piece of Strasberg’s teaching was sense memory, or emotion memory, which was sometimes talked about in an almost mystical fashion, but in fact was a quite practical tool to draw on one’s own personal experience to lend depth and richness to one’s performances. But the thing that struck me about Strasberg’s teaching was his awareness of the practical or purely technical means of theatrical expression. Two examples remain vivid memories. They did as he asked, and almost miraculously, with that one detail, Franchot’s authority was established, and we could believe he had the power of life and death over his people. Again, the class broke into spontaneous applause. Strasberg had found the single simple detail that crystallized the scene.